Investors with relatively small portfolios should always rebalance with new contributions where possible to avoid having their wealth whittled away by trading costs. Sink the proceeds into under-performers. But this can mean paying a double-dose of broker’s dealing fees: once to sell and once to buy for every pair of assets you need to rebalance. And while you can buy for £1.50 per trade using regular purchase schemes, you’ll pay at least £5 to £10 to sell, if you’re dealing in ETFs, shares, investment trusts, or funds where your platform charges trading fees. (See our broker comparison table for the cheapest options). Rebalancing with new contributions cuts out the selling costs at a stroke. Using this technique, the lion’s share of new contributions are funneled directly into under-performers to bring them into line with your desired asset allocation. Add up the total worth of your portfolio before any purchases. Add that figure to the cash value of your new contribution. This gives you the portfolio’s new total value after your imminent purchases. 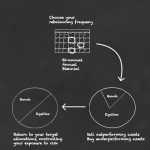 Recall your target asset allocation percentages. Calculate the cash value of each asset at its target percentage of your portfolio’s new total. The difference between the current value of the asset and its new value = the amount of new contribution to put into that particular asset. So our £5K new contribution neatly rebalances the KISS portfolio back to a 60:40 equity/bond allocation if we buy £2K in equity and £3K in bonds. 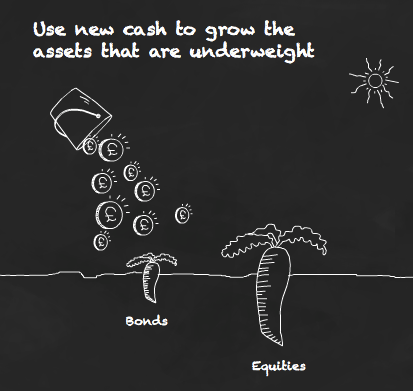 If the new/desired value of the asset was a minus number then your existing allocation is so out of whack that even the new contribution can’t get you back on track. You need to sell an amount of the bloated asset equal to the minus number to rebalance. Do all that using the power of your brain, or else use this excellent rebalancing spreadsheet from Canadian Couch Potato. Of course, you don’t have to rebalance every time you drip feed in new contributions. I personally calendar rebalance once a year. But because I contribute monthly – buying one or two funds a month – my ideal asset allocation is only ever a target I work towards with new cash. I work out how much I think I’ll invest in the 12 months ahead, and use that amount plus my existing portfolio’s value on rebalancing day to calculate how much I should feed into each asset over the course of the year. In reality my portfolio is unlikely ever to be rebalanced perfectly again, except by utter fluke. 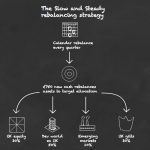 Rebalancing to a range gives you even greater leeway to adjust asset allocations for less cost. You can rebalance your portfolio with abandon if you’re purely invested in funds that avoid dealer’s fees, such as the trackers used in Monevator’s Slow and Steady model portfolio. However, the evidence suggests there’s normally no need to rebalance more than once a year and doing it with new contributions will certainly save you time and hassle. You describe exactly how I drip money into my passive portfolio, I believe it’s called the dollar value average (DVA) method. However it is worth mentioning that while DVA is LIKELY to maximise the internal rate of return and reduce overall risk there is another choice (dollar cost averaging – DCA). With DCA you always splitting your new money by your model portfolio percentages and invest in those proportions. With DCA you are LIKELY to have an overall higher return on investment, although with a slightly higher risk. Of course you have to rebalance at some point, for example annually or when a fund gets outside a given tolerance bands. As I said I use DVA as you suggest because, with my passive portfolio, I am more risk averse, but I know that I am potentially losing a basis point here or there. There are a few academic articles that discuss all of this (search for dollar cost averaging vs dollar cost averaging). Strange. I’m talking about rebalancing using new contributions, not drip-feeding versus lump-sums or pound-cost averaging versus pound-value averaging (substitute dollars or other currency to taste). The technique I’ve described could be used by a lump-sum investor or a drip-feeder. Value averaging requires me to put more into my portfolio if the market declines and less when the market is shooting to the stars. I’ll write about it one day, but today was not that day. I’ve been trying to rebalance the funds within a few ISAs that are going back to 2004 and your articles on asset allocation and rebalancing have been of great help – thanks. One thing still confuses me as to the ideal size of funds within portfolio compared to its size. Currently I’ve ended up having over 50 funds in 7 ISAs which represent roughly 1-3% of portfolio value each. I know diversification is a good thing but at what point does it become counterproductive? @Inexperienced investor — Big question! I can’t give specific advice, but generally one would caution that with 50-odd funds, you’re probably getting index tracker like performance (because you’ve effectively bought the market by spreading yourself so thin) but without the low fees — that’s the worst of both worlds! There are some who say you only need your stock market-allocated money in one or more index trackers. I am a more cautious (/paranoid) sort, and suggest even passive investors split any meaningful money over at least a couple of providers, perhaps a couple of instruments (e.g. funds and also ETFs), and maybe put some in something like a low-cost global investment trust, so you get another form of ownership structure in the mix, too. You’re really diversifying with these suggestions of mine away from systemic issues (e.g. An ETF scare), rather than performance. @The Investor – thank you kindly for your prompt reply. You are spot on – 50 funds is a result of investing over 6 years with only diversification in mind rather than pursuing a particular strategy and paying attention to asset allocation, TERs etc. (didn’t even know ETFs exist!) – I guess it’s a common story for amateur investors. After doing some research and reading the articles on your site, I am putting together a strategy to bring some structure to my investment strategy for the next 15-20 years. I will be definitely looking in ETFs to reduce the costs mixing them probably with a few specialist funds (primarily in energy and healthcare) for greater diversification. Fund size relative to portfolio size is one a few issues I haven’t been able to get my head around yet. In addition to regular rebalancing of asset classes, I am thinking of using this ratio as a complementary rebalancing tool to avoid overexposure to a particular fund within the same asset class. I think the primary concern is asset class size relative to portfolio size. Then it’s just a question of breaking any large asset class into a couple of funds to avoid over-reliance on any one provider. Another way of looking at it would be to ensure that no fund is larger than the FSCS compensation limit, which was £48K last time I looked. The reality is though, when investing becomes a hideous chore then I know I’m holding too many funds. Something to worry about or not really? In the long term, I wouldn’t want my entire portfolio entrusted to any one institution. If for no other reason than if I was drawing an income from my portfolio, and my preferred financial behemoth was felled, it could be some time before the mess was unravelled and I got my money back. It’s something I’d seek to address over time rather than clanging alarm bells over immediately, though. Actually, with Cavendish Online, the buy/sell charge [through FundsNetwork] is now only 0.10% of each transaction, so only £1 on a, say, £1,000 sale (their current range of ITs and ETFs isn’t totally comprehensive, true, but seems reasonable wide enough). Good plan, this is basically what I have always done. Letting income build up and buying in with limit orders as and when there is a reasonable lump sum accrued. I dont think Ive sold anything for a long time. When I look back at what Ive sold Ive always thought it was a bad idea. Like SLXX and EDIN years ago. If I had just held them and topped up what was under performing at the time Id be far better off. My son’s JISA is managed passively and I pretty much use the new-money-rebalance system you’ve outlined. I’m quite lazy/efficient in terms of getting the allocations right though. I used to split the portfolio 60/40 between various stocks/bonds trackers, but have simplified it to 40/40/20 stocks/bonds/cash, with one global stock fund and one global bond fund (as per your Lars chap). That makes rebalancing with new money super easy as stocks and bonds should be about the same and both should be about twice the cash amount. In terms of reducing trading costs I just avoid making any allocation adjustments unless the trade is over £1k. And typically the trade will be to buy stocks or bonds with cash, rather than sell stocks to top up bonds or vice versa, as cash is continually being topped up with the new money you wrote about. @UKVI could you specify the 2 funds? With rebalancing in mind & given the choice, i.e. you are lucky enough to have all the money, would anyone use their full ISA allowance on day one of the year or continue to buy monthly? ‘It depends on how you see the market’, true, but as we all know, you can’t predict the market. @Paul — For a passive investor, it’s not about how you see the market. 🙂 It’s about your attitude to risk. Statistically one is more likely to do better putting it all in at once, because markets tend to rise more than fall. But of course they *do* fall, and if they do then you’d have done better to invest monthly. Forget all that! Just get a Vanguard Lifestregy fund at your desired asset allocation, leave it to rebalance automatically at no extra cost and get on with your life. Bonds are corporate rather than government (I think Lars prefers government), but I don’t have any strong feelings either way. It’s just an income producing asset that is usually weakly correlated with stocks so they make a good rebalancing pair (ying/yang etc.). Mostly I’m after simplicity with this JISA rather than some illusive optimum portfolio. I may even end up moving the money into a Vanguard “lifestyle” 50/50 fund if there is such a thing (there probably is). @UKVI – thanks for info. I’m on the lookout for ETFs at the moment hence the question. Specifically 2 ETF portfolios. Isn’t the idea with gilts to get as close to possible to the ‘risk-free’ asset? Hence the choice of a gilt before a corporate bond for this purpose? You could do the old VG lifestrategy, but its a fund not an ETF. I dearly wish there was such an ETF but it doesn’t seem to exist yet. The one ETF portfolio would be perfect. a) one-off rebalance – this exactly gets you back to your target allocations and likely involves selling as well as buying. Good for the once a year calendar rebalance. b) do not rebalance – just divides up your investment amount according to your allocation and tells you how many shares etc of each to buy. c) regular rebalance – if you put money in regularly enough you don’t need to sell to rebalance, as it says in the article. You just buy the lagging funds. This mode has a sub-option where you can specify the maximum number of funds you want to purchase (to reduce commissions). d) & e) the Larry Swedrow/William Bernstein modes. These suggest rebalancing based on whether individual holdings go past pre-set triggers. I would especially like feedback on whether d) and e) work as intended as these are new features I only recently added. There are also two sandpit modes where you can set your own rebalancing triggers as well as experiment with “what happens if I buy X number of Y” scenarios. That’s just one page. The spreadsheet also comes with an overview page, graphs and charts which plot fund allocations, losses/gains, growth over time, accumulated dividends, a cash account tracking page, and it automatically calculates your returns using both money and time weighted efforts. It has a changeable base currency but caters for up to 25 funds, 4 currencies (USD, GBP, EUR and SGD as I’m based in Singapore), and up to three separate portfolios for the purposes of returns tracking. All this from a fairly minimum amount of data entry as well! The link to view the sheet is here: tinyurl.com/jcexd98 (and I don’t mind people seeing my portfolio details – just don’t copy them, ha ha!) For demonstration purposes, the rebalancing page is set up in one-off mode because I am intending to sell my 5% stake in VMID and go 10% into VVAL at some point. The spreadsheet shows what I would need to do to achieve this, based on my monthly investment sum. @ Nicholas – that is astounding. What a labour of love. I’ve never seen anything like it. I haven’t had time to test it but the level of functionality is incredible. 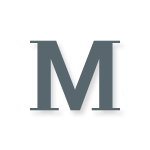 Itsallaguess and Kiloran on the The Motley Fool (TMF) Financial Software board. Over the years they have created, together with a few others, spreadsheets for helping people track how their investments are doing – graphs and suchlike included and are generally happy to take a look at new tools. They have a separate website (not affiliated with (TMF) where they store all of these tools – http://tmffinancialsoftware.weebly.com/. They can be contacted via this email address: tmf.financial.software@gmail.com or by posting on the Financial Software board (http://boards.fool.co.uk/financial-software-50080.aspx?mid=13435649) although you do have to be registered with TMF in order to post there. Thank you, Pinch, I will look into that. I need it to be thoroughly tested before I’m confident enough to “release” it into the wild, so to speak. Unlike in Excel, you can’t really lock things down in Google Sheets. I’ve found the best combinations for using it are via a computer browser, and by publishing a read-only version which is best for mobile phones and tablets. I’d love to see a post on asset allocation and rebalancing across multiple trading platforms/account types/company pensions. You don’t have to replicate your asset allocation in every single account, but treat each account a part of your overall portfolio. The only caveat to this is if you use ringfenced accounts for specific purposes, eg. school fees, mortgage repayment, where your time horizons and risk profiles may be different. Next post: Is London commercial property an opportunity?